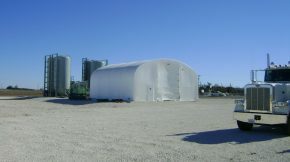 Big Top Fabric Structures specializes in the custom-manufacturing of fabric buildings and shelters. 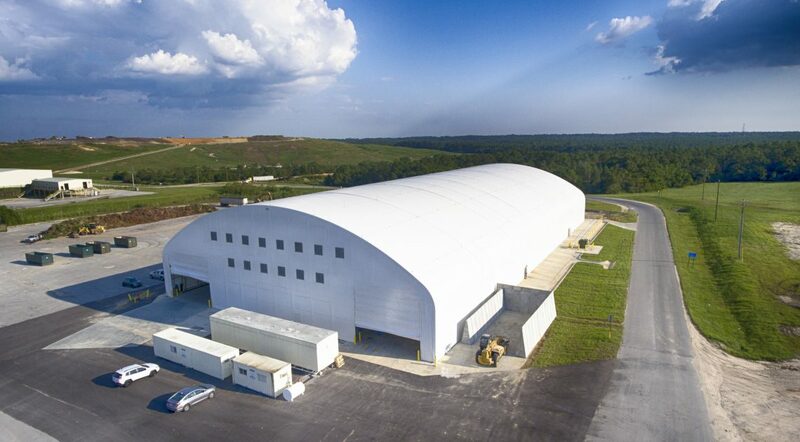 Since 1979, we’ve been leaders in the fabric structure industry, providing companies around the world with durable, reliable, low-maintenance shelter systems to protect their most important assets. 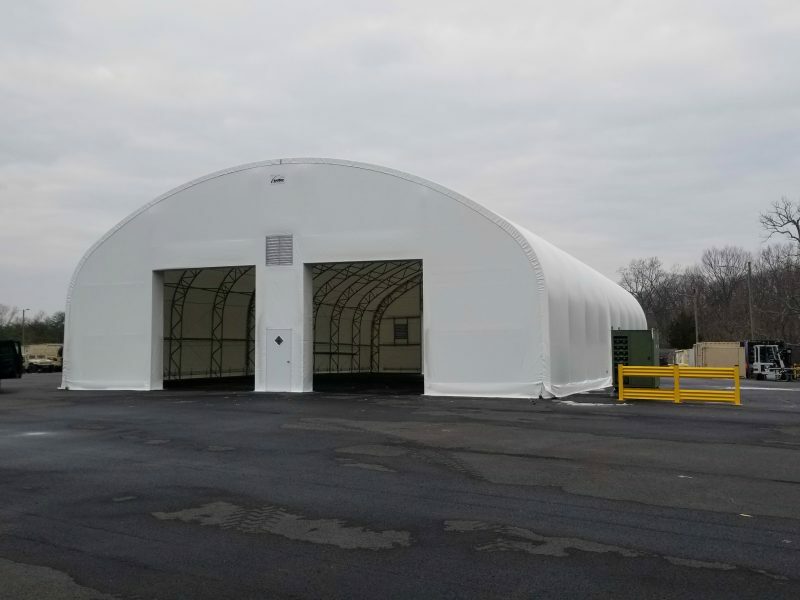 From temporary storage tents and warehouse buildings to more permanent aircraft hangars and boat storage, Big Top has created custom structures for all sorts of applications. 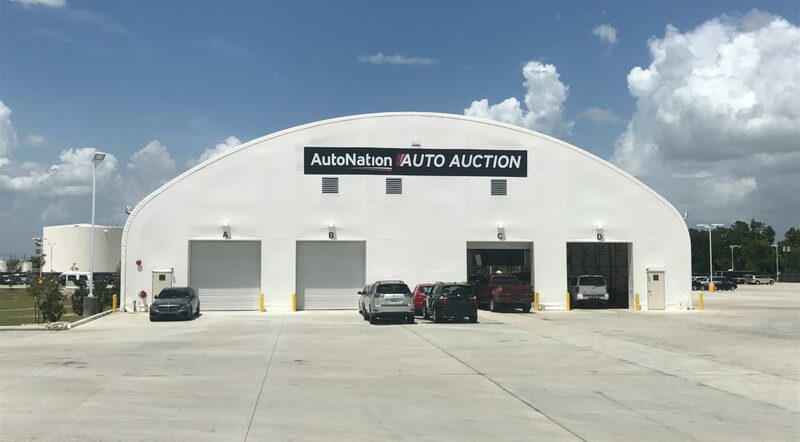 So, if you’re looking for a company that you can trust to build a custom fabric building for your business, turn to the experts at Big Top Fabric Structures – we’ve got you covered. 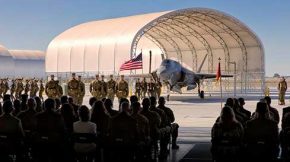 Big Top’s fabric structures are some of the most dependable in the industry. 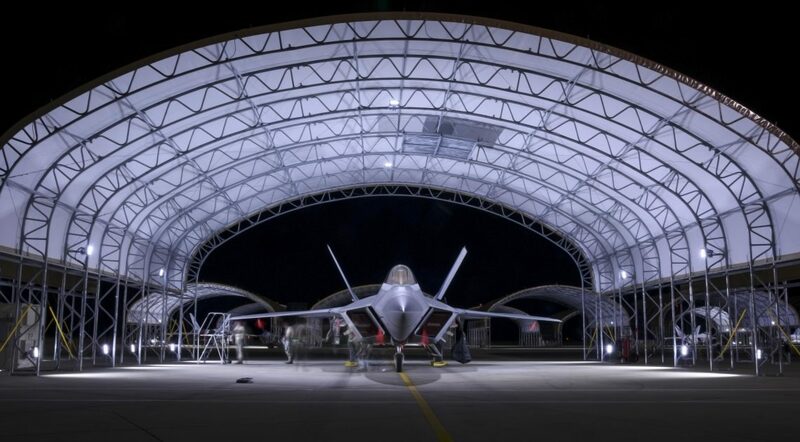 Our tension structures are composed of galvanized steel frames for maximum support and a heavy duty PVC-vinyl fabric that is flame retardant and rip resistant. 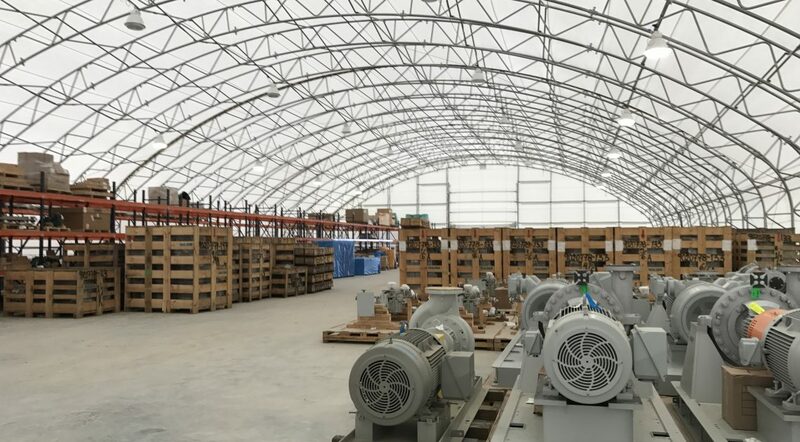 Of course, we also offer engineering options for areas that experience excessive snowfall, winds, earthquakes, or any other conditions that require meeting building code specifications. Custom manufacturing is our specialty, so we’ll be happy to help you devise the perfect fabric structure for your needs. 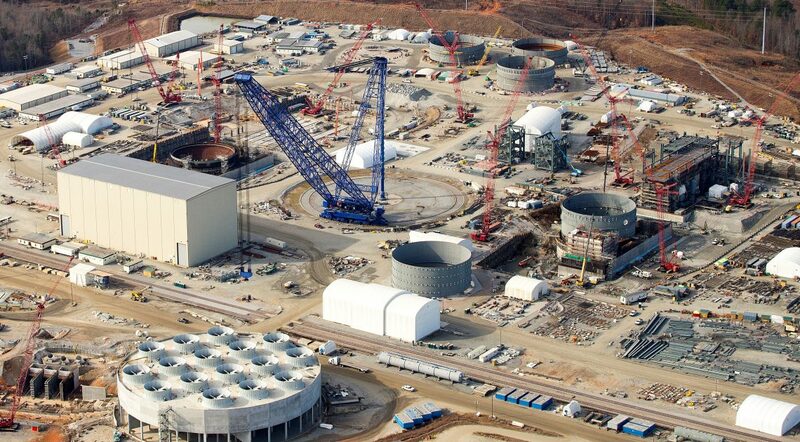 For those that desire it, we also offer onsite consulting services to aid in the design process. 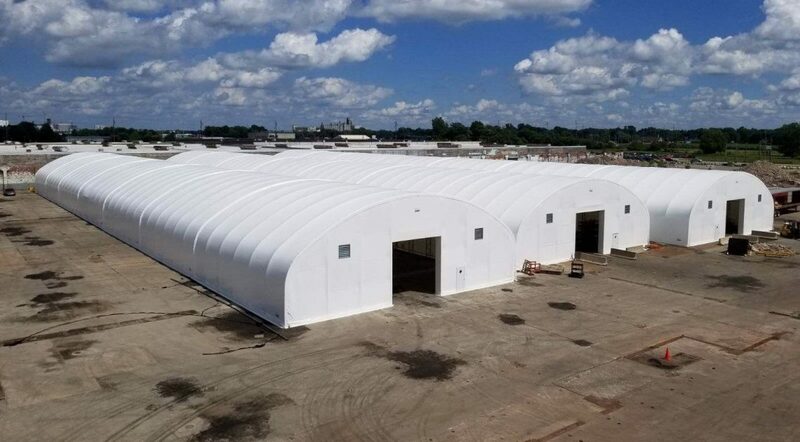 Built to be utilized for both permanent and temporary applications, our fabric buildings are the perfect alternative to the high costs and lengthy process that comes with the construction of a whole new building. 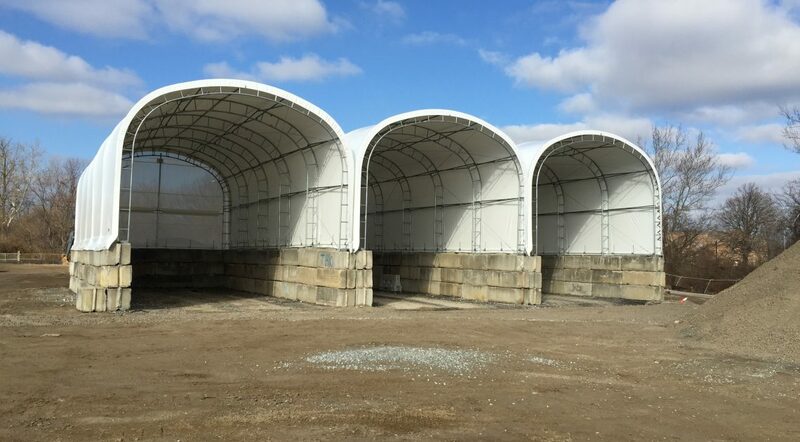 Our tent structures don’t require permanent foundations, saving not only time, but also the money involved with building a new concrete foundation. 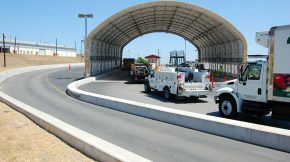 Our shelter systems also have a unique modular design, making their installation, disassembly, and modification easy – in fact, easy enough that all of these tasks can be accomplished by untrained laborers who have never built a similar structure before. 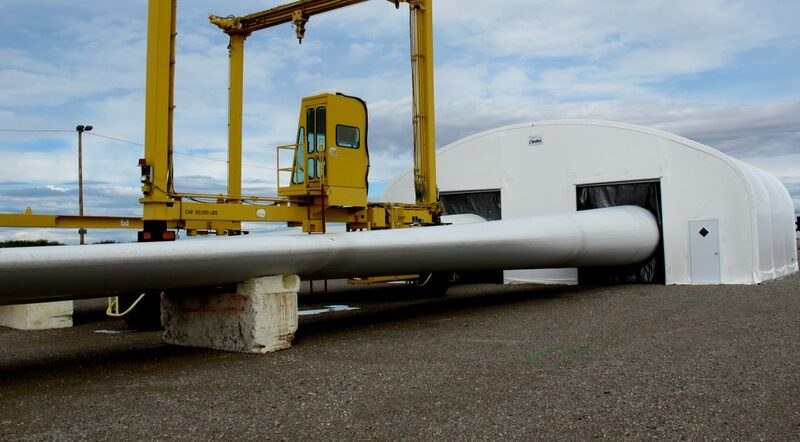 Big Top also offers mobility kits, such as a crane package or jacks and wheels, so your structure may easily be moved around your work-site. 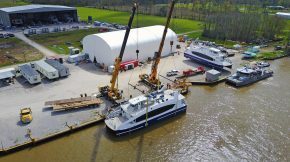 Your crew can perform equipment maintenance and fabrication jobs comfortably and safely under one of Big Top’s fabric structures. 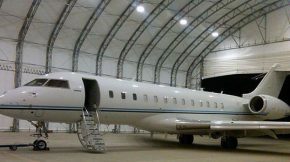 Protect your aircraft from the elements and reduce the need for premature repairs with our fabric hangars or sunshades, which block 99.95 percent of UV-A and UV-B radiation. 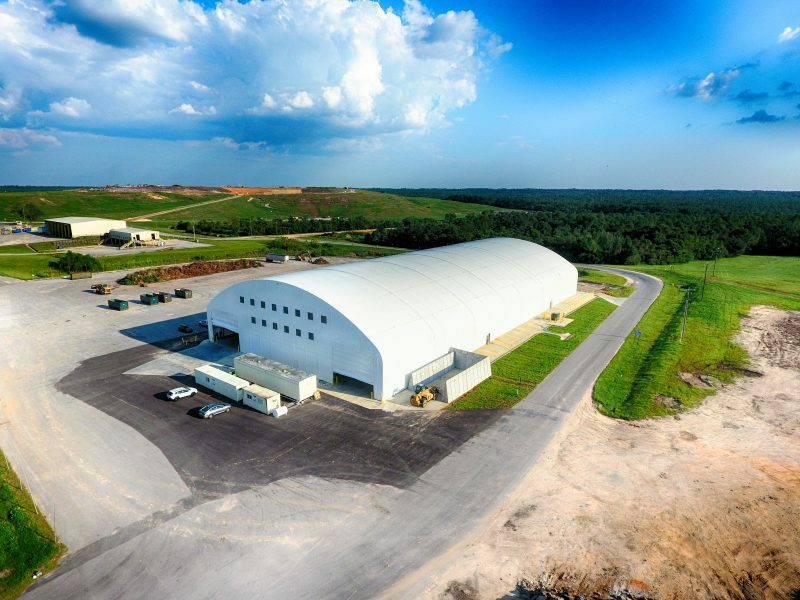 Clear-span fabric structures from Big Top provide ample space for recycling processing, shelter from the elements so that production can continue uninterrupted, and ventilation to minimize odors. 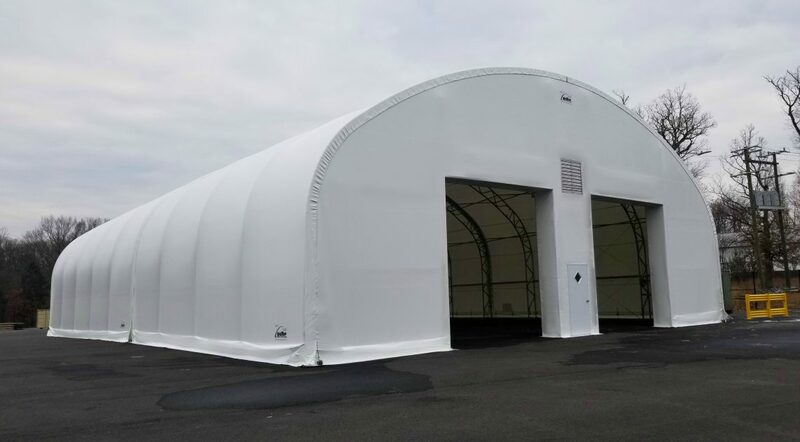 Protect your equipment and materials with a fabric structure from Big Top, which can be engineered to nearly any size and can be climate controlled with an HVAC system. 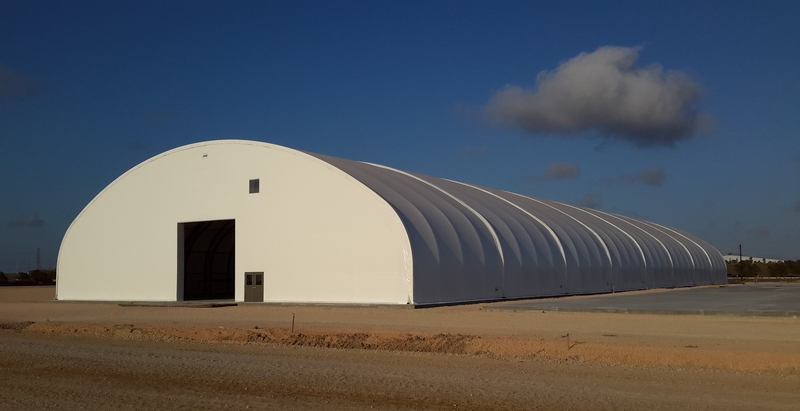 Big Top’s fabric structures are engineered to withstand inclement weather and block 99.95 percent of UV-A and UV-B radiation, providing ample protection for your warehousing needs. 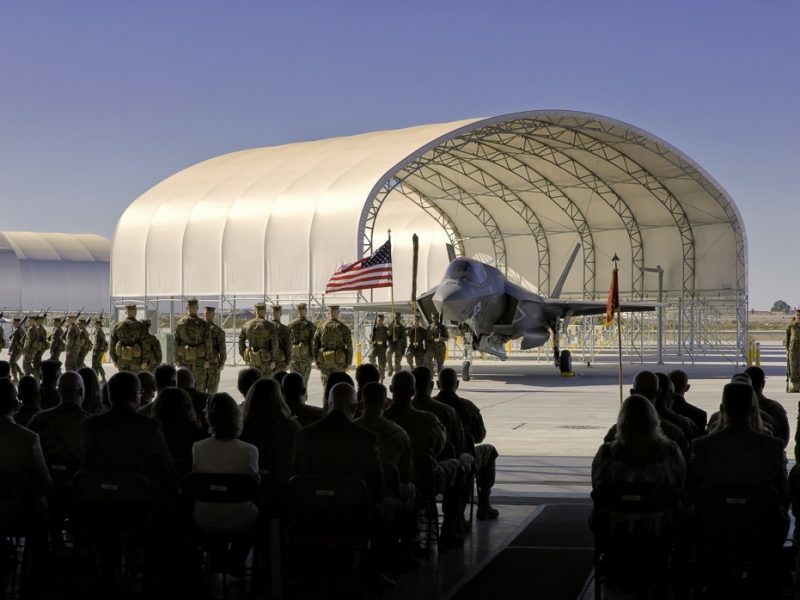 Versatile fabric structures from Big Top can be engineered to just about any size and with any number of accessories, such as ventilation and flooring, to meet your specific needs. 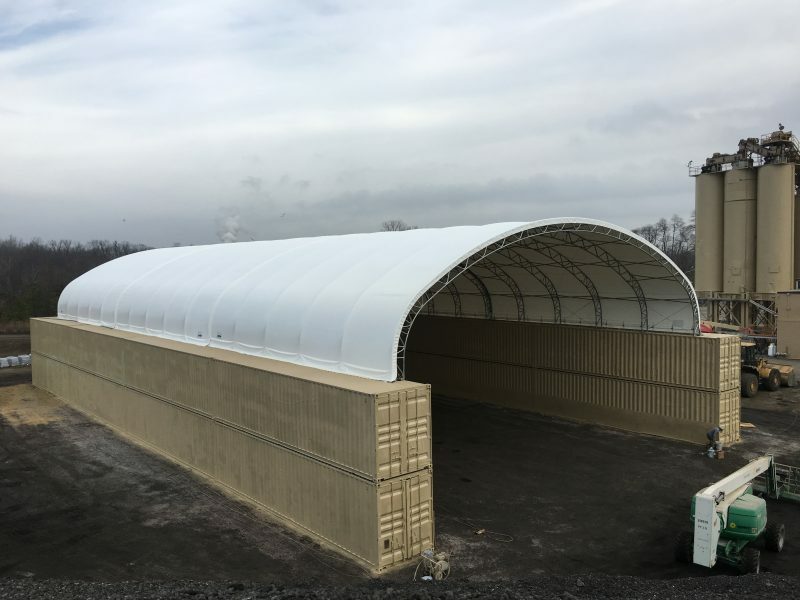 Big Top’s fabric structures provide proper containment for all blasting as required by the Environmental Protection Agency and can be quickly erected onsite. 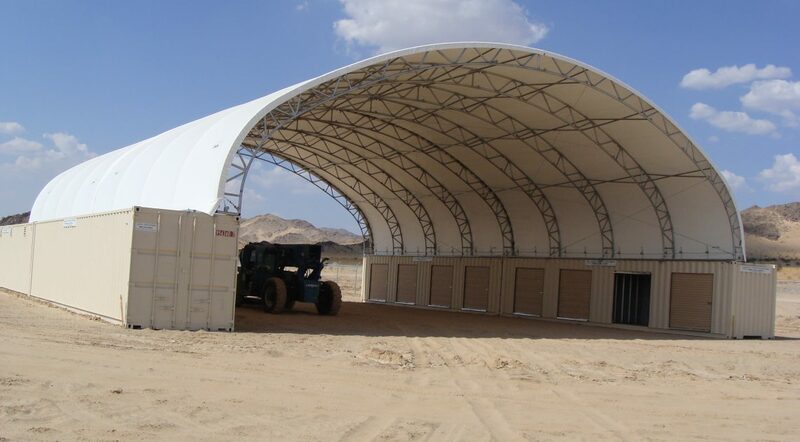 A fabric structure from Big Top can be anchored to just about any foundation, including shipping containers. 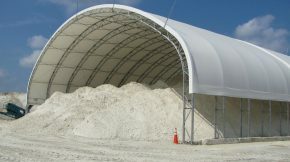 Versatile fabric structures from Big Top can be anchored to nearly any type of foundation, even ecology blocks. 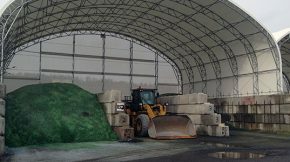 Big Top’s fabric structures can be moved intact with a crane and can be engineered for telescopic maneuvering with a crane rail. 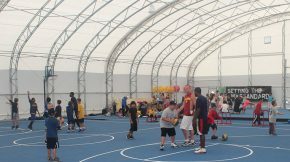 Big Top’s fabric structures provide comfortable lunchrooms and safety meeting facilities. They can also be used as muster stations for shelter from inclement weather. 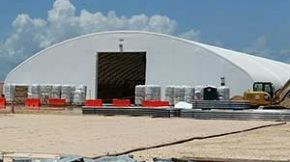 Big Top understands that the specifications of any fabric structure may change significantly depending on your industry and application. 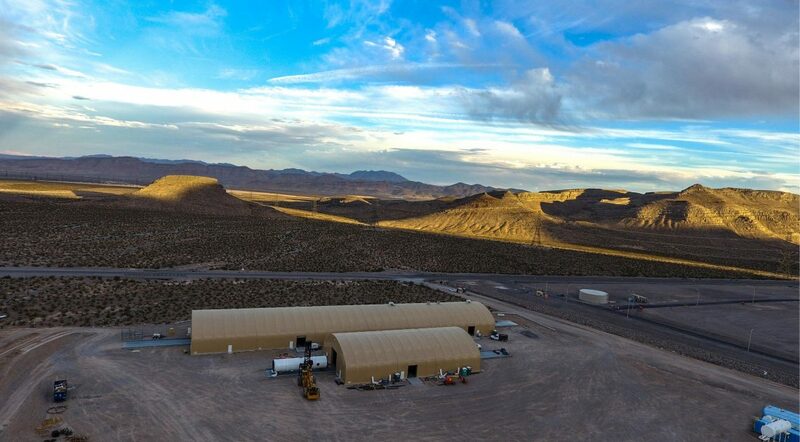 That’s why we’re proud to offer accessories for our shelter systems. 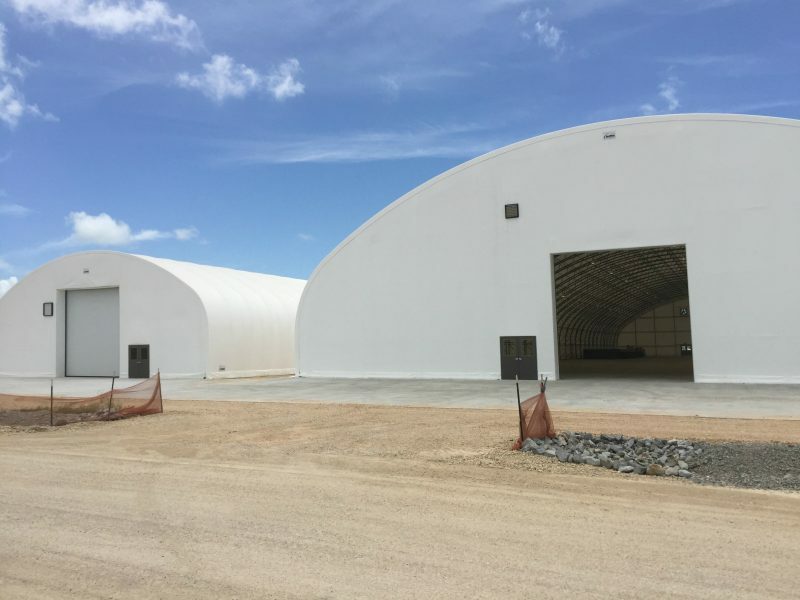 Whether you need heating, ventilation, air conditioning, lighting, flooring, specialty doors, insulation, or any other options for your sheltered space, Big Top’s got you covered. 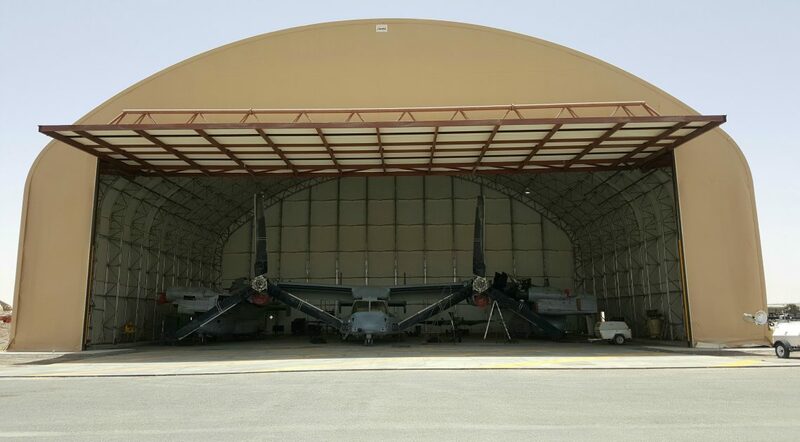 We offer a variety of add-on features so that your fabric structure can be optimized to suit your specific needs and environmental conditions. 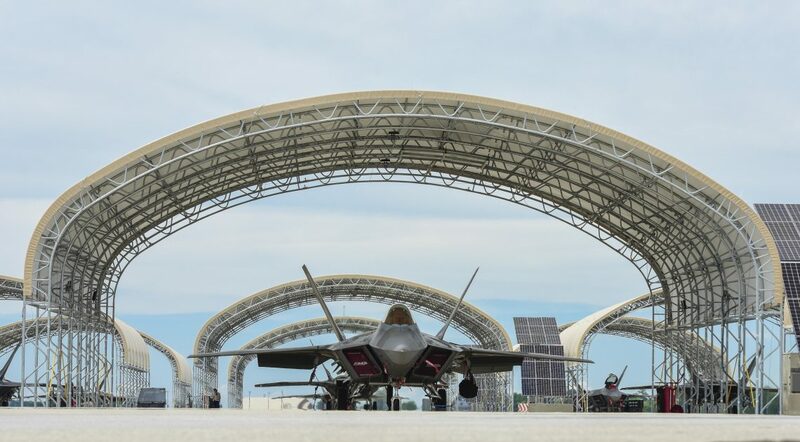 The commitment that Big Top makes to customization enables us to provide fabric structures that are adaptable across a variety of industries, including construction, aviation, military, marine, environmental, government, mining and mineral, oil and gas, and many more. 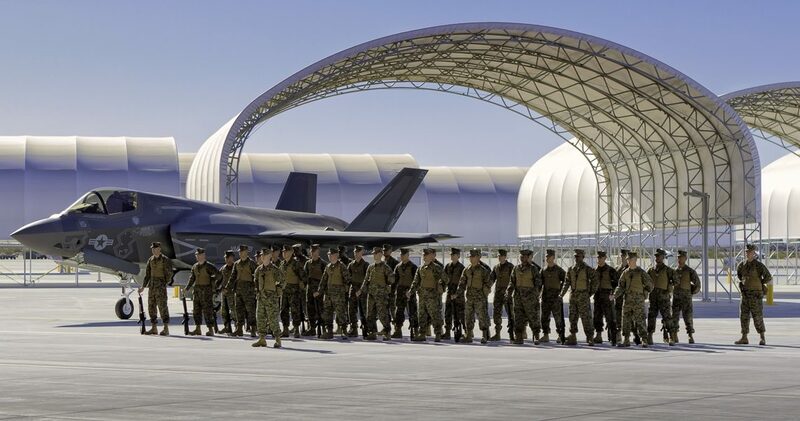 For more information about Big Top’s customized fabric structures, please contact us today. We’re proud to offer outstanding lead times after receiving your order, enabling you to get to work as soon as possible. 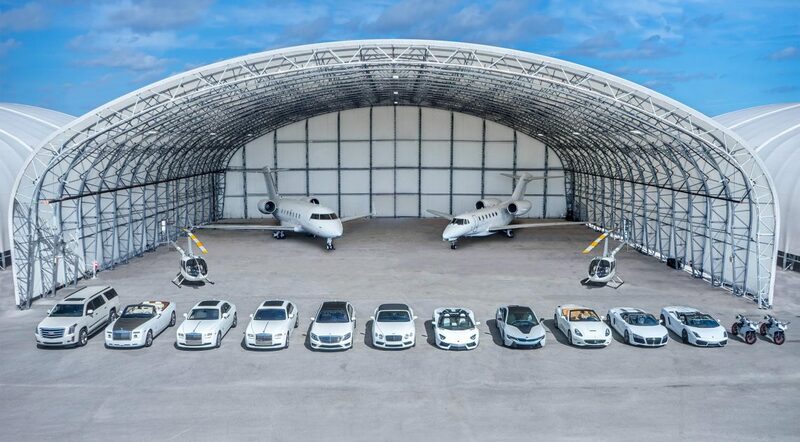 We’re proud to serve our clients, here are just a few.